Draft: 2011, Minnesota Twins, 6th rd. The Twins selected him in the sixth round in the 2011 draft as an outfielder. After he batted .216 with six home runs over his first three professional seasons, the Twins converted him into a pitcher in 2014...He's a huge DC Comics fan. He enjoys Lego sets, funko figurines, comic books and anything with a Batman logo stenciled on it...His father is Hall of Fame catcher Iván Rodríguez...Likes to cook and watches a lot of the Food Network: Chopped, Bobby Flay, and Diners, Drive-ins and Dives are some of his favorite shows. He mostly cooks the Puerto Rican food he grew up eating, such as longaniza sausage and rice with adobe spice; a tomato and pepper sauce called sofrito. Rookie right-hander established himself as one of the top NL rookies in 2018 after posting a record of 6-4 with an ERA of 2.81 in 21 games (19 starts)...Among NL rookie qualifying pitchers he ranked second in ERA (2.81), third in opponents' batting average against (.223), sixth in innings pitched (118.1), eighth in starts (19) and ninth in strikeouts (89)...His 2.81 ERA was the lowest by a Giants rookie pitcher (min. of 100 innings) since Hall of Famer Hoyt Wilhelm (2.43) in 1952...His 2.81 ERA was the seventh-lowest among NL pitchers with at least 100.0 innings pitched...trailed Jacob deGrom (1.70), Aaron Nola (2.37), Max Scherzer (2.53), Walker Buehler (2.62), Seth Lugo (2.66), Clayton Kershaw (2.73)...Tied Madison Bumgarner for the team lead with a 2.4 WAR by Baseball-Reference's version of the metric... ranked sixth among rookie pitchers behind KC's Brad Keller (3.6), LAD's Walker Buehler (3.1), STL's Jack Flaherty (2.6), LAA's Jaime Barria (2.6) and PHI's Seranthony Dominguez (2.4)...Had his contract purchased from triple-A Sacramento on May 28 and was selected to the big league roster... the Giants needed an extra arm in the bullpen as they started a three-game series against the Rockies at Coors Field...Made his Major League debut on May 29 at Colorado, entering the game in the 2nd inning in place of starter Jeff Samardzija, who left after recording just three outs due to a tight right shoulder...allowed four runs (one earned) on five hits in his debut and was forced to leave the game after just 3.1 innings after taking a 108 mph line drive off his right calf off the bat of Ian Desmond...Earned his first MLB win in his first MLB start on June 3 vs. Philadelphia...became the first Giants pitcher to earn his first win in his first start since Ryan Sadowski did it on June 28, 2009 at Milwaukee...On August 6 vs. Houston he tossed a season-high 7.0-scoreless innings while limiting the Astros to three hits with seven strikeouts...he threw 14 of 15 changeups for strikes, even though he got only one missed swing on them...Became the first Giants pitcher since 1900 to pitch 6+ innings and allow two or fewer runs in at least 13 of his first 16 career starts (June 3-September 10)...Had nine consecutive starts of 6.0+ innings and two runs or fewer from June 14-August 24...the only other MLB rookies to do that in nine-straight starts since 1958: Joe Blanton (2005) and Mike Fiers (2012)....Recorded a 3.05 road ERA (the four Giants with more road starts than him had ERAs of 3.63, 4.97, 5.26 and 5.45) (Baseball Info Solutions)...Missed 10 games from August 16-23 with a Grade 1 right hamstring strain, an injury he suffered August 14 at Los Angeles-NL during an on field incident involving teammate Nick Hundley and Yasiel Puig that cleared the benches...Was reinstated from the injured list on August 24, missing a total of eight games (two starts)...Went 4-1 with a 3.40 ERA and 53 strikeouts versus 11 walks in 50.1 innings in his first season at the triple-A level. Started the season with Class A advanced Fort Myers, going 5-2 with a 2.51 ERA (19er, 68.0ip) in 11 starts...was named to the Florida State League mid-season All-Star team... Was promoted to double-A Chattanooga and went 5-4 with a 3.94 ERA (33er, 75.1ip) in 15 games (13 starts). August 24, 2018 San Francisco Giants activated RHP Dereck Rodriguez from the 10-day injured list. August 17, 2018 San Francisco Giants placed RHP Dereck Rodriguez on the 10-day disabled list retroactive to August 13, 2018. Hamstring strain. May 28, 2018 San Francisco Giants selected the contract of RHP Dereck Rodriguez from Sacramento River Cats. April 3, 2018 RHP Dereck Rodriguez assigned to Sacramento River Cats from Richmond Flying Squirrels. March 23, 2018 RHP Dereck Rodriguez assigned to Richmond Flying Squirrels from Sacramento River Cats. January 25, 2018 RHP Dereck Rodriguez assigned to Sacramento River Cats. November 15, 2017 San Francisco Giants signed free agent RHP Dereck Rodriguez to a minor league contract and invited him to spring training. November 6, 2017 RHP Dereck Rodriguez elected free agency. June 23, 2017 RHP Dereck Rodriguez assigned to Chattanooga Lookouts from Fort Myers Miracle. June 14, 2017 RHP Dereck Rodriguez assigned to Fort Myers Miracle from Chattanooga Lookouts. June 13, 2017 RHP Dereck Rodriguez assigned to Chattanooga Lookouts from Fort Myers Miracle. January 27, 2017 RHP Dereck Rodriguez assigned to Puerto Rico. August 4, 2016 RHP Dereck Rodriguez assigned to Fort Myers Miracle from Cedar Rapids Kernels. April 3, 2016 RHP Dereck Rodriguez assigned to Cedar Rapids Kernels from Elizabethton Twins. October 29, 2015 RHP Dereck Rodriguez assigned to Indios de Mayaguez. October 29, 2015 Indios de Mayaguez activated RHP Dereck Rodriguez. June 17, 2015 RHP Dereck Rodriguez assigned to Elizabethton Twins from Cedar Rapids Kernels. May 8, 2015 RHP Dereck Rodriguez assigned to Fort Myers Miracle from GCL Twins. April 27, 2015 RHP Dereck Rodriguez assigned to GCL Twins from Fort Myers Miracle. April 26, 2015 RHP Dereck Rodriguez assigned to Fort Myers Miracle from Elizabethton Twins. October 31, 2013 OF Dereck Rodriguez assigned to Indios de Mayaguez. October 31, 2013 Indios de Mayaguez activated RHP Dereck Rodriguez. June 19, 2013 RHP Dereck Rodriguez assigned to Elizabethton Twins from GCL Twins. October 31, 2011 OF Dereck Rodriguez assigned to Criollos de Caguas. 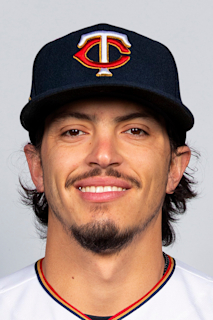 June 28, 2011 Dereck Rodriguez assigned to GCL Twins. June 27, 2011 Minnesota Twins signed OF Dereck Rodriguez.